Whether your school term started this June or will still be in August, it’s high time to pick out campus-ready pieces. To level up your standard sleeved-polo-with-trousers look this coming semester, check out this season’s new clothing picks. California-based apparel brand, No Fear, shows you how to keep cool all-school year long. It offers a wide range of apparel and accessories including comfy jackets, fresh-detailed shirt, caps, and even bags. If you’re down for shirts you can wear for all days of the week, No Fear has you covered. With school days potentially welcomed by showers of rain—or if your class rooms are newly equipped with full-blast air-conditioning—bundle up and stay cosy while rocking your casual get-up. 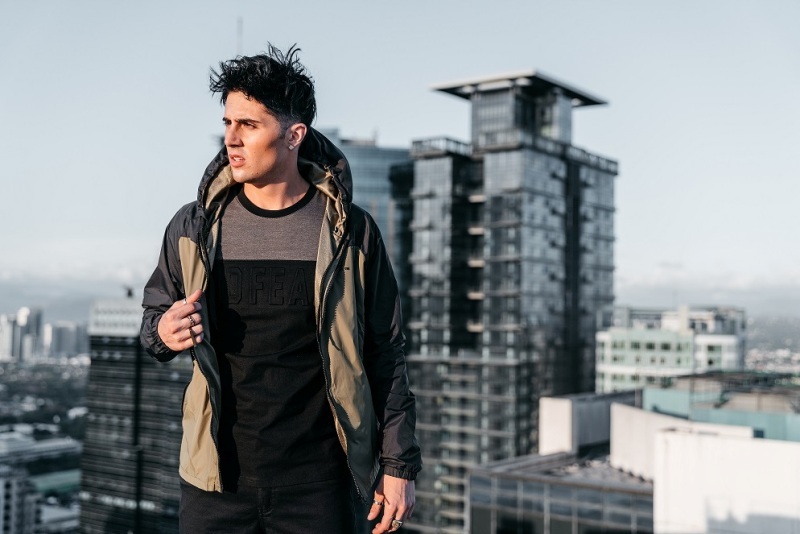 Wear the newest jacket releases from No Fear such as the Discipline and Determination hoodies designed with understated neutrals and colour-blocked designs in comfy, nylon material— an edgy touch to your everyday-wear. Mix up your button-down staples with more relaxed collared variant, polo shirts. If you’re on the hunt for easy-to-wear tops that show your personality, a crisp formal shirt won’t cut it. Try on these newest polo shirt drops from No Fear. The Mercury shirt showcases a tasteful striped pattern in classic red-and-black colour way, a perfect match to your fresh white kicks. The True polo shirt is an ideal top to wear for those opting for a minimalist design. A pair of khaki shorts seems to be a great partner if you’re bold enough to wear shorts to school! Let’s face it, after-school hangouts make college life more fun and memorable. Off to a gaming hub or a new food par? Cop yourself a fun and functional cap like these pieces from No Fear. Rep your snapbacks on and off campus on your next field trip adventure! Don’t forget to look and be smart by investing in modern back packs. These waxed canvas backpacks from No Fear are designed with colour block fabric and a clean silhouette. For more No Fear items, visit major department stores or go online at www.nofear.com.ph . Get the latest update on Facebook at www.facebook.com/nofearph and @nofearph for Instagram.